Natural and Holistic Remedies for Stress Relief. How to Manage Stress in 5 minutes without pills. “Tension is who you think you should be; Relaxation is who you are” ~ Unknown author. In this article, I will point out some effective, fast and easy ways to overcome stress. I will tell you about the usual reactions to stress, the ideal approach to it and some healthy ways to handle it. I will also give you some holistic natural remedies to relieve stress. Stress is a disturbance of your body's natural balance due to any physical, mental or emotional stimulus that you perceive as a threat. While in prehistoric times it served as a built-in mechanism for alertness and energy against physical threats, most of the stress people face in today's hectic world is mostly mental, emotional and psychological. Typically, stress boosts the production of the hormones cortisol and adrenaline, which in turn lead to a raise in your blood pressure and heart rate. Stress can also cause an array of symptoms like headaches, irritability, anxiety, low self-esteem, fatigue, tooth grinding, appetite changes, gastrointestinal disorders, insomnia and so on. Did you know that the first response of the body to stress is a shrinkage of the thymus gland? This was exposed by Dr. Hans Selye in his book "The Stress of Life". Now, if you consider that the thymus gland has a lot to do with immunity system and with your vitality, it is obvious that stress can have a direct impact on your health. The typical example is when people are under stress -which causes their natural body defenses go down- and then they end up catching a cold. Long-term stress is harmful because it obstructs the body’s natural processes of regeneration and detoxification. People’s usual reaction to stress is to either “flight” (willing to run away from it) or “fight” (deciding to confront it, as in a struggle where you hope to win). This is because, as Dr. John Diamond discovered, when people are in a state of stress, they use predominantly only one brain hemisphere in trying to find stress relief. If they use the left hemisphere, they apply all of their logical, analytic and even mathematical powers to the problem, but fail to apply their intuition as well to solve it. In this regard, it is worth remembering Albert Einstein’s wise observation that "we cannot solve our problems with the same thinking we used when we created them". Reason alone is not enough. Conversely, when people respond to stress using mainly the right hemisphere, they tend to want to escape and run away from the problem, which is not either a sound solution in objective terms if appropriate action needs to be taken immediately. However, in some cases “taking a break” from the problem might be utterly useful, as when you are in the middle of arguments and disagreements with someone else and you decide to have some quiet time to cool down, instead of getting “worked up” in the course of a discussion, which could in fact make things worse. Obviously, the ideal approach to find stress relief is to apply both hemispheres to solving a given problem, because with logic and intuition together we become truly creative and are in a much better position to find a sound solution to a stressful situation. Now, in practical terms, what kind of general, easy and healthy tools can you use to find stress relief the very moment you are under a stressful situation? 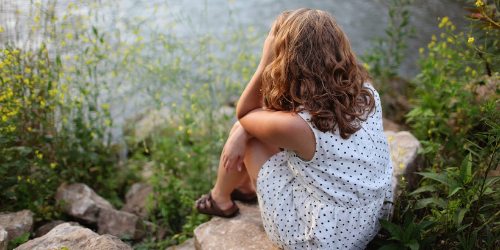 When you are facing a stressful situation, simply ask yourself: What practical physical changes can I make to improve the situation and find stress relief? Let’s give an example. Suppose that you are stressed over the fact that you are always arriving late to work. You can easily overcome the problem either by changing your patterns and leaving your home half an hour earlier each day, or by changing your mode of transportation. That is a physical change. As Janowitz points out, “most stress in not the result of the event itself, but rather originates from the perceived threat of an event”. So changing your perception of an upcoming event can alleviate the problem. Perhaps this is why, using a similar line of thought, but from a spiritual standpoint, Don Miguel Ruiz advices in his book “The Four Agreements” that “whatever happens around you, do not take it personally”. In some cases you can handle a stressful situation merely by acceptance. For instance, if you are stuck in a traffic jam and find yourself fretting over being late to a meeting, you can say to yourself: “I have no control of the situation. I will get there when I get there”. This takes away the pressure. There are many herbal remedies that improve your body's ability to cope with stress. They are called adaptogens. They are very useful whether your stress is physical, emotional or environmental. Some of the best known in natural healing circles include Ashwaganda (an Ayurvedic herb), Ginseng (Chinese, Korean or Siberian), Kava Kava, Ginkgo Biloba, Gotu Kola, Dong Quai (a.k.a. "the female ginseng", commmonly used by women for menstrual issues), Astragalus and Schizandra. Besides adaptogens, have in mind that B vitamins are important for the nervous system. Calcium and magnesium are also required by the nervous system, as they are depleted by stress. Stress can also deplet friendly bacteria in the intestines, in which case a probiotic supplement (acidophilous or bifidobacteria) is usually recommended. Are there any holistic remedies that help effectively in achieving stress relief? Certainly. I can tell you that if you are open to alternative holistic remedies, you may resort to the use of Bach flower essences to put yourself into the right frequency to communicate more effectively with your Feeling Self and be able to find your natural balance. These are non-toxic natural herbal remedies made of flower essences that have unique energies to link you with the positive core of your own being. You may have heard of the famous "Rescue Remedy", a combination of flower essences commonly used to help people find fast relief in acute emotional situations. "Cherry Plum" helps when you perceive that something "is enough to drive you mad" and feel that "you are about to burst" or lose your self-control. This remedy helps you find relaxation in those moments. "Elm" is very useful when you perceive that an important job or responsibility makes you feel so stressed and you feel that you might not be up to it. This remedy helps you to feel more confident and objective in those situations. "Impatients" helps you when you feel stressed because you perceive that you are being held up for any given reason. This remedy helps you to find more patience and reduce stress in those situations. "Oak" helps people who put themselves under too much pressure and over-exert their will power from a feeling of duty. This remedy helps you to find the balance needed to fulfill your duties without having to undermine your personal reserves of energy. How do you take the flower remedies? Simply add two drops of the flower remedy to a glass of water and sip it throughout the day as required. But you can also take the Bach Flower remedies in sound form. Each Bach Flower has a very specific vibrational frequency that inspires a positive quality, and this positive quality overrides vibrationally the negative one that is causing emotional distress. The vibrational frequencies of the Bach Flowers can be measured in hertz and we can use those frequencies for sound healing purposes. Just listen to them to feel the vibrations. 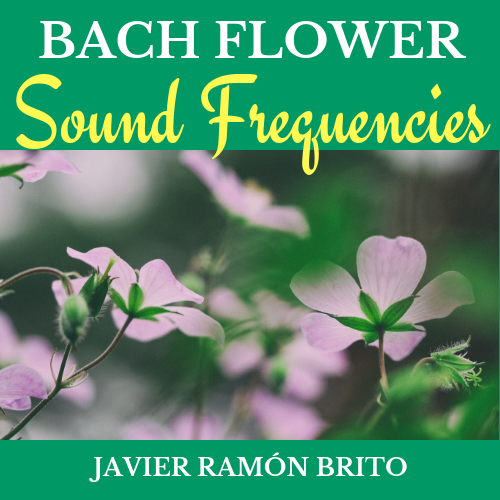 You can download the 38 Bach Flower sound frequencies below. You immediately get the download links after checkout. You also receive in your inbox an instant email with the links to download these frequencies, as a backup. Any other holistic recommendations for effective stress relief? Practicing meditation can be very helpful for relieving stress. There are different styles of meditation. Choose one that suits you and brings you easily into a meditative state of relaxation. From a metaphysical point of view, the feelings of appreciation and gratitude always raise your vibrations from the lower states (where stress, anger and other similar states reside), to the higher states of consciousness. As Doc Childre suggests, "appreciative feelings activate the body's biochemical systems that help diminish stress...The practice of appreciation and gratitude has been proven to help people reconnect with feelings of hope...". So the next time you feel under stress, try sending feelings of appreciation and gratitude for the good things you have in your life. An important point is that the more these feelings are heartfelt -not just words- the more you will raise your vibration. You may be surprised at the results.